Taking your first steps in the hills? Looking to improve your navigation? Desperate to bag that elusive or remote Munro? Ready to safely make the transition from Summer to Winter Hill Walking? Want to try rock climbing or improve your skills? 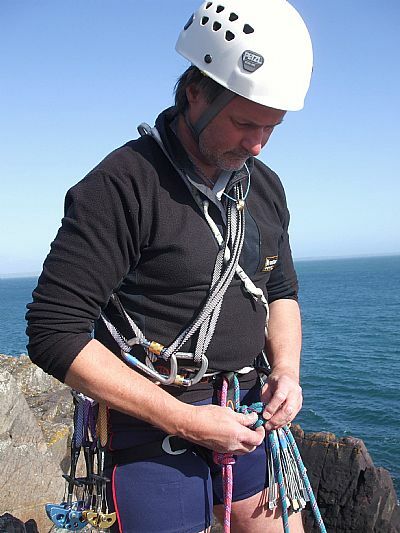 In need of a qualified Mountain Leader for a group or Corporate activity? Whatever your ambitions on the hill or on the crag, with over 40 years experience of mountaineering and rock climbing tuition, we can help you achieve them. Started hill walking and rock climbing in the Peak District in the early 1970s. Climbed throughout the UK and Europe. 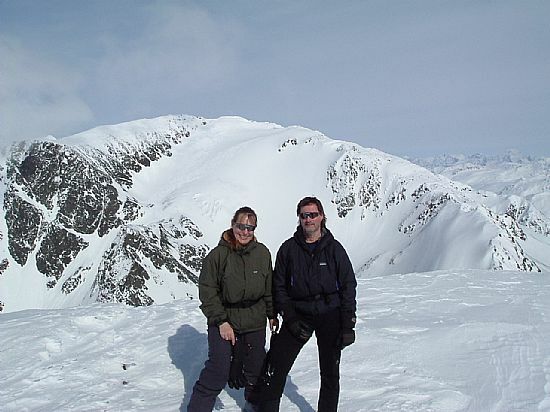 'Accumulated' all the Munros over 35 years of Scottish mountaineering, the majority of them in winter conditions. Holds Mountain Leader Summer and Winter Awards, Rock Climbing Instructor Award (formerly the Single Pitch Award) and Outwardly Mobile Emergency First Aid at Work with an emphasis on the Outdoor Environment. Hold a PVG Scheme Record disclosure issued under section 52 of the Protection of Vulnerable Groups (Scotland) Act 2007. Full member of MTA - the 'Mountain Training Association'. Trainee member of AMI - 'Association of Mountaineering Instructors'. Environmental Science graduate with a PGCE in Outdoor Education. Worked for Doncaster LEA for 32 years in Secondary education and also with Youth Service and adults. Involved with the Duke of Edinburgh's Award Scheme as Unit Leader, Local and Wild Country Panel Assessor. Led too many field trips and outdoor pursuits visits to remember them all! 'Retired' as Assistant Head of Sixth Form and Educational Visits Co-ordinator at Hatfield Visual Arts College and moved to Kintail in 2011. 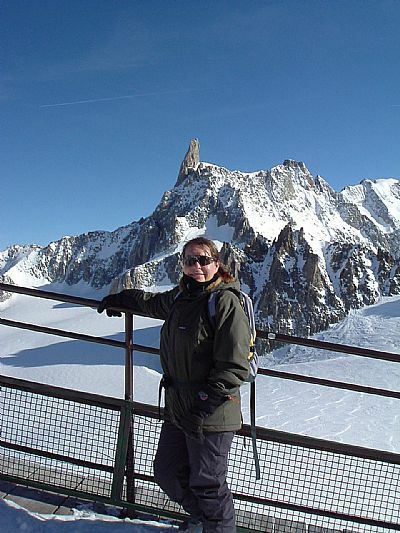 Shirley's love of the outdoors started whilst working her way through the Duke of Edinburgh's Award Scheme at school. She has gone on to walk and climb throughout the UK and Europe. Climbed her first 'Munro' in 1996 and compleated them in 2014. Holds Basic Expedition Leader Award (BELA), Mountain Leader Summer Award and Outwardly Mobile Emergency First Aid at Work with an emphasis on the Outdoor Environment. A Chemistry graduate, Shirley worked in industry for a number of years before taking her PGCE and moving into teaching. Worked for Doncaster LEA for 19 years teaching Chemistry and Science, becoming Deputy Learning Leader in Science at Hatfield Visual Arts College. Involved in many extra-curricular visits, mainly involving outdoor activities, and was Assistant Leader of the College's highly successful D of E Award Unit. Currently on the Supply register for Highland Council and mixing teaching with Kintail Mountain Activities and a part-time craft business - Loch Duich Crafts. Registered with GTC Scotland and holds a PVG Scheme Record disclosure issued under section 52 of the Protection of Vulnerable Groups (Scotland) Act 2007. The most important person is you, the Client. For this reason we do not provide "off the peg" activities or courses. Instead we aim to provide bespoke activities that meet your individual timeframe, objectives, experience and aspirations - whether these be the ascent of a particular Munro, the development of new skills or simply to try something new or to experience a new area. The precise aim, content and (usually) location of each day's activity is arrived at through discussion with you in the planning stages and amended as required by weather and underfoot conditions on the day. Our mountain experience and our background in teaching ensures that our adventurous activities are undertaken within a sound framework of safety and with a high degree of Client care. They should also be educational and enjoyable (although the Scottish weather can occasionally make the enjoyment somewhat retrospective)!! Many of our Clients are individuals or couples, but we have also provided activities for families, student groups and corporate days for business and industry. Some of their comments can be found on our Client Feedback page. Please Contact Us to discuss your bespoke activity!